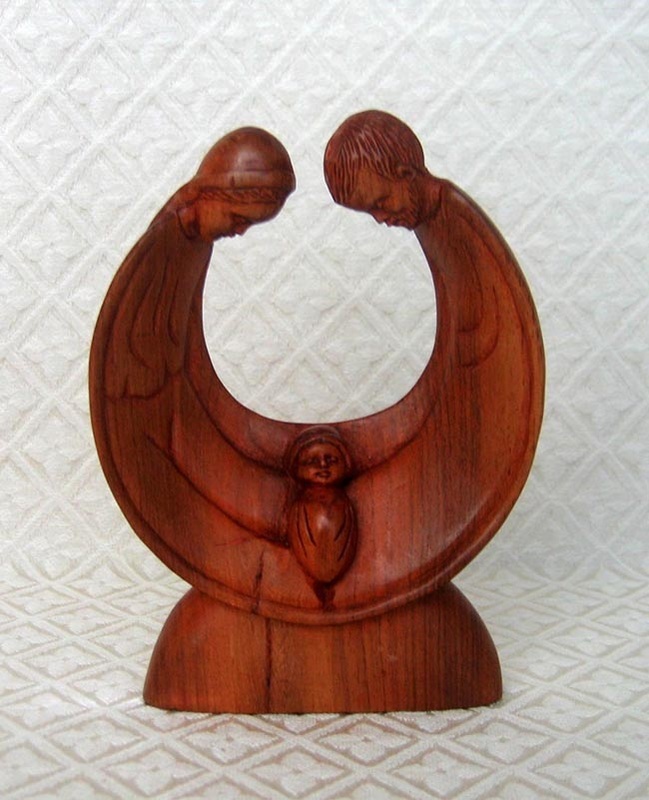 This Nativity scene from the island of Madagascar contains Joseph and Mary curved so they can admire their baby Jesus. The piece is carved from one piece of palisander wood, which is from the rosewood family. Palisander is very hard and contains a natural oil as found in rosewood. The piece measures 5.5 inches high. The Malagasy people carve in a detailed European style (rather than traditional African styles) because these wood carvers learned their carving style from French Jesuit priests. This set was purchased from a native carver selling in an open market in Antananarivo, the capital of Madagascar.